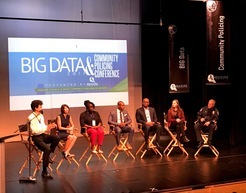 From Oct. 26-28, one of the Minneapolis Promise Zone (MPZ) Volunteers In Service to America (VISTA) attended the Big Data and Community Policing Conference, in Austin Texas. Many of the presentations were helpful in generating ideas for a community policing survey MPZ is working on with Inspector Baird and Assistant Chief Kjos. The conference brought its stakeholders together to explore current and past efforts on community policing initiatives, and how to improve them. In 2014 President Obama signed an Executive Order to create a task force focused on developing recommendations to improve trust and collaboration between communities and law enforcement, while also reducing crime. Attendees included the Austin Police Department, along with various other Texas police departments, research institutions, local non-profit organizations, and software developers. Presentations and panel discussion topics included reinventing police data software to make it more user friendly, using social media to improve police-community relations and transparency by making information and data more publicly accessible, and elevating community voices for increased police accountability through constructive conversation and policy reform. The MPZ hopes to apply lessons learned from an Urban Institute report, “How High-Crime, Low-Income Communities View the Police?” which contained survey data specific to views from North Minneapolis residents. Some of the main findings from this study found that only 23% of people in high-crime neighborhoods support how police act in their community, and only 34% of those surveyed feel safe around police. Another lesson was learning about “Community Voices” of Austin- a follow up study with the Urban Institute to engage highly policed communities in dialogue with the police around improving the way policing is conducted in their communities. For this study, the Urban Institute paired with a local non-profit (Austin Justice Coalition) to engage with community members about their concerns pertaining to policing efforts. This facilitated further discussion on what the community needs from the Austin P.D. From these discussions, the community was able to write a survey with specific language and questions informed by community input. The new 4th precinct inspector Baird is excited about collaborating with the MPZ to reconfigure how community policing is practiced in North Minneapolis. Two of the Minneapolis Promise Zone Volunteers in Service to America (VISTA) attended the Federal Reserve Bank of Minneapolis' Opportunity and Inclusive Growth Institute on Oct. 26. 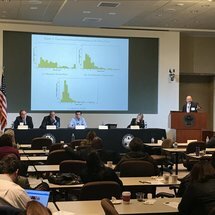 The Institute’s fall conference was built around the topic of segregation and inequality, and different speakers examining the role of several related issues, including disparities in housing and education. The Twin Cities has some of the largest racial disparities in the United States. Myron Orfield, a law professor at the University of Minnesota, made the argument that Twin Cities schools have become increasingly segregated over the past two decades, creating concentrations of poverty. In the Twin Cities, low-income white students attend middle-class schools whereas low-income black students are segregated into the poorest schools. Orfield presented a progression of maps dating back to 1989, where relatively even proportions of white, black, Hispanic, and Asian students become clearly segregated over time. Further south in Minneapolis has now become mostly white, directly south of downtown is mostly Latino, and the Northside is mostly black. He and Samuel Myers Jr., also of the University of Minnesota, challenged the Federal Reserve to look into the big, unexplained gaps in loan denial rates between whites and African Americans in the Twin Cities. Many have made the argument that people are denied loans based on higher risk involved with lending to lower income populations. Samuel Meyers Jr. presented data which shows that low-income whites have homeownership rates five times that of low-income blacks. By attending the Minneapolis Opportunity and Inclusive Growth Institute Fall Conference the MPZ VISTAs gained a better understanding of how the legacy of racial inequality shapes North Minneapolis today. Important Upcoming Meeting on Wednesday, November 29 at 6:05 p.m.
City Council will be holding a public hearing to finalize the 2018 budget. The Council will receive comments on needs and proposed use of funds for the City's FY 2018 Consolidated Plan application to U.S. Department of Housing and Urban Development (HUD) for; Community Development Block Grant (CDBG), HOME Investment Partnerships (HOME), Emergency Solutions Grant (ESG), and the Housing Opportunities for Persons with AIDS (HOPWA) funds. This will be a good opportunity for partners working on community and/or economic development to advocate for more capital investment on the Northside. The Minnesota Department of Employment & Economic Development (DEED) is requesting proposals from qualified organizations for the Support Services Competitive Grant. The application deadline is 4:30 p.m. Wednesday, November 22, 2017. An emailed proposal to AdultCompetitiveGrants.DEED@state.mn.us consisting of one Adobe Acrobat (PDF) file containing all required proposal components must be received at DEED no later than 4:30 p.m. Wednesday, November 22, 2017 (no faxes accepted). The State shall not be responsible for any errors or delays caused by technology-related issues, even if they are caused by the State. There is genius in these streets, and we want to share it with you! 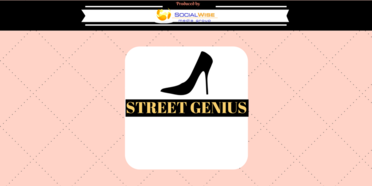 Street Genius Radio creates opportunities for untraditional entrepreneurs to share knowledge and stories of living the startup life. Not every business owner has the same journey, and our show will showcase the stories of black and female entrepreneurs. Our program is a community run social venture, and will provide training & job opportunities for blacks in tech. Tune in today on Facebook Live. Thu, November 9: 5:30-7 p.m.
Fri, November 10: 8:30 a.m.- 12:30 p.m.
Sun, November 12: 10 a.m.-12 p.m.
Tue, November 14: 5:30-7:30 p.m. Wed, November 15: 9-11:30 a.m. Sat, November 18: 11 a.m.-5 p.m. Sat, December 5: 5:30-7:30 p.m.
Tue, December 12: 10:30 a.m.-1 p.m. This SHOP NOFA announces the availability of $10,000,000 in FY2017 SHOP Grant funds to be awarded to national and regional non-profit organizations and consortia to facilitate and encourage innovative homeownership opportunities on a national, geographically diverse basis through the provision of self-help homeownership housing programs. Applicants must propose to use a significant amount of SHOP Grant funds in at least two states. Individuals are not eligible to apply for SHOP Grant funds. SHOP Grant funds must be used for land acquisition, infrastructure improvements, and for reasonable and necessary planning, administration and management costs (not to exceed 20 percent). The construction or rehabilitation costs of each SHOP unit must be funded with other leveraged public and private funds. The average SHOP Grant expenditure for the combined costs of land acquisition and infrastructure improvements must not exceed $15,000 per SHOP unit. SHOP units must be decent, safe, and sanitary non-luxury dwellings that comply with state and local codes, ordinances, and zoning requirements, and with all other SHOP requirements, including but not limited to, the requirements for energy-efficiency, water conservation and accessibility). The SHOP units must be sold to homebuyers at prices below the prevailing market price. Homebuyers must be low-income and must contribute a significant amount of sweat equity towards the development of the SHOP units. A homebuyer's sweat equity contribution must not be mortgaged or otherwise restricted upon future sale of the SHOP unit. Volunteer labor is also required SHOP Grantees may award SHOP Grant funds to local non-profit affiliate organizations to carry out the Grantee's SHOP program. These affiliate organizations must be located within the Grantee's service area. VA is announcing the availability of per diem funds to eligible entities to provide transitional housing beds under VA’s Homeless Providers GPD Program models. VA expects to fund 1,500 beds with this NOFA for applicants who will use one or a combination of the following housing models: Bridge Housing, Low Demand, Hospital-to-Housing, Clinical Treatment, and Service-Intensive Transitional Housing and Service Centers. DATES: An original signed and dated application for assistance (plus two completed collated copies) for VA’s Homeless Providers GPD Program and associated documents must be received by the GPD Program Office by 4:00 p.m. Eastern Standard Time February 28, 2018 (see application requirements below). This NOFA announces the availability of per diem funding to 501(c)(3) and 501(c)(19) non-profit organizations, State and Local governments, and Indian Tribal governments to provide a minimum of five transitional housing beds. No more than 40 beds per model, per medical center, per each applicant’s Employer Identification Number (EIN) will be allowed under this NOFA. The Administration for Children and Families, Administration on Children, Youth and Families' Family and Youth Services Bureau (FYSB) announces the availability of funds under the Street Outreach Program (SOP). SOP WORKS to increase young people's personal safety, social and emotional well-being, self-sufficiency, and to help them build permanent connections with families, communities, schools, and other positive social networks. These services, which are provided in areas where street youth congregate, are designed to assist such youth in making healthy choices and to provide them access to shelter and services which include: outreach, gateway services, screening and assessment, harm reduction, access to emergency shelter, crisis stabilization, drop-in centers, which can be optional, and linkages/referrals to services. THE AWARD process for FY2018 SOP allows for annual awards over a three-year project period, as funds are available. The Administration for Children and Families, Administration on Children, Youth and Families' Family and Youth Services Bureau (FYSB) announces the availability of funds under the Basic Center Program (BCP). THE BCP works to establish or strengthen community-based programs that meet the immediate needs of runaway and homeless youth up to age 18 years of age and their families. BCPs provide youth with emergency shelter, food, clothing, counseling and referrals for health care. Basic centers can provide temporary shelter for up to 21 days for youth and seeks to reunite young people with their families, whenever possible, or to locate appropriate alternative placements. The goal of this Federal Funding Opportunity (FFO) is to support the education of K-12 students and the public so they are knowledgeable of the ways in which their community can become more resilient to extreme weather events and/or other environmental hazards, and become involved in achieving that resilience. Many U.S. communities are increasingly contending with issues related to preventing, withstanding, and recovering from disruptions caused by extreme weather and other environmental hazards (U.S. Department of Commerce FY2014-FY2018 Strategic Plan). These hazards include but are not limited to severe storms, tornadoes, hurricanes, flooding, heavy precipitation events, persistent drought, heat waves, increased global temperatures, acidification of the ocean, and sea level rise (Weather-ready Nation: NOAA’s National Weather Service Strategic Plan 2011; Melillo et al., 2014). These extreme weather and climate events put stress on infrastructure, ecological systems, and the humans that live in the impacted places. U.S. communities can become more resilient to such events by exploring the hazards they face, assessing their specific vulnerabilities and risks, considering options, prioritizing and planning, and finally taking action (U.S. Climate Resilience Toolkit). This process is typically performed by scientists and municipal planners, but in order for resilience to occur, other members of a community must have some understanding of the hazards they face and how to mitigate them, both at the individual and the community level. Education projects focused on resilience enable and empower community members, including children and youth, to protect themselves and their communities from these hazards. The NSF Partnerships for Innovation (PFI) Program within the Division of Industrial Innovation and Partnerships (IIP) offers researchers the opportunity to transform new knowledge into societal benefits through translational research and technology development efforts which catalyze partnerships to accelerate innovations that address significant societal needs. PFI has six broad goals: (1) identifying and supporting Foundation-sponsored research and technologies that have the potential for accelerated commercialization; (2) supporting prior or current Foundation-sponsored researchers, institutions of higher education, and non-profit organizations that partner with an institution of higher education to undertake proof-of-concept work, including the development of technology prototypes that are derived from NSF-funded research and have potential market value; (3) promoting sustainable partnerships between Foundation-funded institutions, industry, and other organizations within academia and the private sector with the purpose of accelerating the transfer of technology; (4) developing multi-disciplinary innovation ecosystems which involve and are responsive to the specific needs of academia and industry; (5) catalyzing professional development activities, mentoring, and best practices in entrepreneurship and technology translation for faculty, students and researchers; and (6) expanding the participation of women and individuals from underrepresented groups in innovation, technology translation, and entrepreneurship. 2018 Preservation Technology and Training Grants (PTT Grants) are intended to create better tools, better materials, and better approaches to conserving buildings, landscapes, sites, and collections. The PTT Grants are administered by the National Center for Preservation Technology and Training (NCPTT), the National Park Service's innovation center for the preservation community. The competitive grants program will provide funding to federal agencies, states, tribes, local governments, and non-profit organizations. PTT Grants will support the following activities: Innovative research that develops new technologies or adapts existing technologies to preserve cultural resources (typically $25,000 to $40,000) Specialized workshops or symposia that identify and address national preservation needs (typically $15,000 to $25,000) How-to videos, mobile applications, podcasts, best practices publications, or webinars that disseminate practical preservation methods or provide better tools for preservation practice (typically $5,000 to $15,000) The maximum grant award is $40,000. The actual grant award amount is dependent on the scope of the proposed activity. NCPTT does not fund "bricks and mortar" grants. The NIST Public Safety Innovation Accelerator Program – User Interface seeks applications from eligible applicants for activities to accelerate research, development, production, and testing of user interface technologies and capabilities through the use of virtual reality (VR) and augmented reality (AR) for first responders as described in Section I. of this NOFO/Full Announcement. The goal of the RCN program is to advance a field or create new directions in research or education by supporting groups of investigators to communicate and coordinate their research, training, and educational activities across disciplinary, organizational, geographic, and international boundaries. The RCN-UBE program originated as a unique RCN track to catalyze positive changes in biology undergraduate education (NSF 08-035) and is now supported by the collaborative efforts of the Directorate for Biological Sciences (BIO) and the Directorate for Education and Human Resources (EHR). It has been responsive to the national movement to revolutionize undergraduate learning and teaching in the biological sciences as described in the Vision and Change in Undergraduate Biology Education report. The RCN-UBE program seeks to improve undergraduate biology in different areas by leveraging the power of a collaborative network. The theme or focus of an RCN-UBE proposal can be on any topic likely to advance the goal of enhancing undergraduate biology education. Minority HIV/AIDS Research Initiative (MARI) to Build HIV Prevention, Treatment and Research Capacity in Disproportionately Affected Black and Hispanic Communities and Among Historically Underrepresented Researchers. The FHWA hereby requests applications for assistance to result in the award of a new Cooperative Agreement, entitled, “Youth Service and Conservation Corps Workforce Development." The purpose of this proposed Cooperative Agreement (Agreement) is to assist the Recipient in encouraging States and regional transportation planning agencies to enter into contracts and cooperative agreements with qualified youth service or conservation corps to perform appropriate projects eligible under the Federal-aid highway program, and to expand youth workforce development opportunities while strengthening transportation career pathways. Congress enacted the Troops to Teachers (TTT) Program in 1993 to assist eligible current and former members of the armed forces to transition into second careers as teachers. Within the Department of Defense (DoD), the Office of the Deputy Assistant Secretary of Defense for Readiness, Force Education, is responsible for program policy, funding and oversight. The TTT National Office, located within the Defense Activity for Non-Traditional Education Support (DANTES), is responsible for day-to-day operations and management of the program. Authorizing statute in 10 USC 1154(h) (2) (A), permits the Secretary of Defense to make grants to states or consortia of such states in order to support efforts of recruiting eligible current and former members of the armed forces for participation in the TTT Program and facilitating the employment of participants as elementary school teachers, secondary school teachers, and career or technical teachers. Grant award not to exceed 5 years. The Grants to Support Families in the Justice System program (referred to as the Justice for Families Program) was authorized in the Violence Against Women Reauthorization Act (VAWA) of 2013 to improve the response of all aspects of the civil and criminal justice system to families with a history of sexual assault, domestic violence, dating violence, and stalking, or in cases involving allegations of child sexual abuse. The program supports the following activities for improving the capacity of communities and courts to respond to impacted families: court-based and court-related programs; supervised visitation and safe exchange by and between parents; training and technical assistance for people who work with families in the court system; civil legal services; provision of resources in juvenile court matters; and development or promotion of legislation, model codes, policies, and best practices. Child and Family Services Reviews have consistently found that many child welfare agencies are not achieving substantial conformity on permanency outcomes, including failure to make concerted efforts towards timely permanency for adoption and preserving family connections. Findings related to child and family outcomes, include, but are not limited to, lack of service provision, child and parent engagement in case planning, and child visitations; delays in establishing the goal of adoption; inadequate concurrent permanency goal planning; and lengthy appeal processes for contested termination of parental rights. These outcomes relate to basic social work practices that also have effects on the safety and well-being of children in care. The purpose of this funding opportunity is to award up to five 5-year cooperative agreements for the development, implementation, and evaluation of strategies that focus on improving basic social work practices, policies, and procedures in order to improve outcomes and eliminate systemic barriers to adoption and other forms of permanency. The Administration for Children and Families, Children's Bureau announces the availability of one grant to: (1) implement a multi-system approach among public and private agencies integrating community and faith-based to promote effective partnerships; (2) develop or enhance a navigator program to meet caregivers own needs and the needs of the children they are raising; (3) utilize intensive family-finding activities, including search technology, effective family engagement, collaboration with child support, and other means to identify biological family members for the target population to create a greater volume of relationships and connectedness within their families and establish permanent family placements when appropriate; and (4) implement family group decision-making (FGDM) meetings for children in the child welfare system. The project funded under this announcement will be implemented through strong collaboration between the grantee and the public child welfare agency. The successful applicant will facilitate cross collaboration and data sharing among relevant agencies, including the courts, child welfare, Temporary Assistance for Needy Families (TANF), aging and family caregiver support programs, child support, fatherhood programs, education, domestic violence, mental health and substance abuse in order to better identify, assess, and service kinship caregivers and at-risk families within the child welfare system. The Administration for Children and Families, Administration on Children, Youth and Families' Family and Youth Services Bureau announces the availability of funds under the Sexual Risk Avoidance Education (SRAE) Program. The purpose of the SRAE Program is to fund projects to implement sexual risk avoidance education that teaches participants how to voluntarily refrain from non-marital sexual activity. The services are targeted to participants that reside in areas with high rates of teen births and/or are at greatest risk of contracting sexually transmitted infections (STIs). The goals of SRAE are to empower participants to make healthy decisions, and provide tools and resources to prevent pregnancy, STIs, and youth engagement in other risky behaviors. Successful applicants are expected to submit program plans that agree to use medically accurate information referenced to peer-reviewed publications by educational, scientific, governmental, or health organizations; implement an evidence-based approach integrating research findings with practical implementation that aligns with the needs and desired outcomes for the intended audience; and teach the benefits associated with self-regulation, success sequencing for poverty prevention, healthy relationships, goal setting, and resisting sexual coercion, dating violence, and other youth risk behaviors such as underage drinking or illicit drug use without normalizing teen sexual activity.